Snapchat now has more active daily users than Twitter, Bloomberg reported Thursday. Snapchat has 150 million active daily users, up from 110 million in December, Bloomberg reported. Twitter, meanwhile, has less than 140 million. As young people flock to Snapchat, news outlets are trying to showcase news on the platform both as live stories and in Discover, where nearly 20 outlets — from The Wall Street Journal and CNN to Tastemade and People — publish unique content exclusive to Snapchat. Instead of static media logos in circles, representing the channels, publishers will have an actual cover image to draw readers into the content, according to one source. One publisher said the cover images would make Snapchat content look more like a magazine — and hopefully attract more eyeballs. It might not seem like much, but Discover still only captures a small portion of Snapchat’s more than 100 million daily viewers, who are mostly there to message with friends. Snapchat and publishers would like to get more of them into Snapchat Discover stories, because that’s where most of the ads run. Despite Facebook’s dominance and Snapchat’s growth, Twitter remains a highly influential platform — you don’t see Donald Trump’s snaps highlighted on cable news, for instance — and Twitter will have to make the most of that as it tries to compete with these other larger networks. Can you for one second argue that Snapchat is a more influential platform than Twitter? @mathewi agree. Also I wonder about the ripple effect – harder to have stories ripple out if you can’t see them tomorrow. Lichterman, Joseph. "Snapchat reportedly has more daily users than Twitter. What does that mean for news?." Nieman Journalism Lab. Nieman Foundation for Journalism at Harvard, 2 Jun. 2016. Web. 25 Apr. 2019. Lichterman, Joseph. "Snapchat reportedly has more daily users than Twitter. What does that mean for news?." Nieman Journalism Lab. Last modified June 2, 2016. 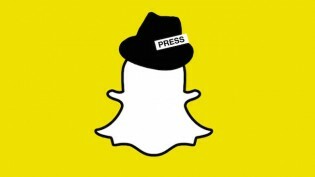 Accessed April 25, 2019. https://www.niemanlab.org/2016/06/snapchat-reportedly-has-more-daily-users-than-twitter-what-does-that-mean-for-news/. | title = Snapchat reportedly has more daily users than Twitter. What does that mean for news?